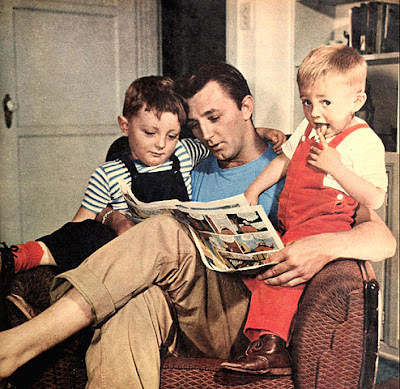 Today's star is old Hollywood rebel Robert Mitchum. TCM is celebrating the career of Robert Mitchum with 11 movies on Aug. 12. Here's what you need to know about one of the actors who defined film noir. FYI: TCM sometimes changes the air times and /or movies, so you can go to www.tcm.com to check the updated schedule. Born: Aug 6, 1917, in Bridgeport, Conn.
Died: July 1, 1997, in Santa Barbara, Calif. His ashes were scattered at sea. Academy Awards: Mitchum was nominated for best supporting actor for The Story of G.I. Joe (1945). 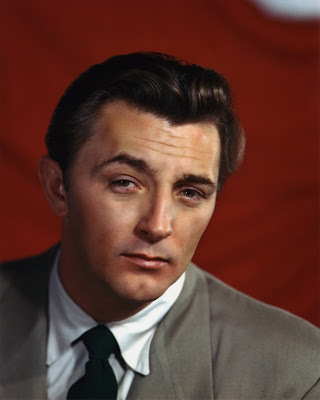 Brief bio: Mitchum's father died in a railroad accident when he was two years old. After his father's death, his mother remarried, and the family moved to Delaware. Mitchum had a wild streak, and he was expelled from several schools. He struck out on his own in his early teens, and he began riding the rails and occasionally spending time in jail. Mitchum eventually landed in California where he worked a series of odd jobs before stumbling into acting in the early 1940's. At first, he was an extra in B movies, but he eventually worked his way up into speaking parts. He got his big break in director William Wellman's The Story of G.I. Joe as a war weary officer and he soon emerged as a huge star in the new film noir genre. Mitchum soon expanded his repertoire to include Westerns and romantic leading man roles, and his brushes with the law (he was arrested for marijuana possession in 1948) only increased his bad boy image. Mitchum continued to work steadily well into the 1990's, appearing in films by notable directors like Jim Jarmusch and Martin Scorsese. 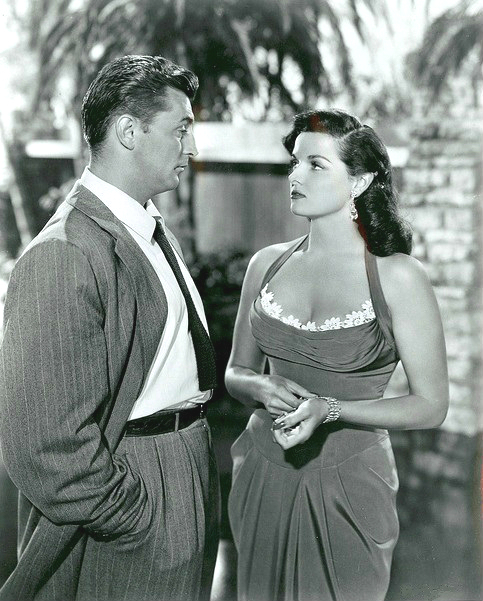 Robert Mitchum and Jane Russell in His Kind of Woman (1951). Fun fact: Mitchum claimed that he escaped from a Georgia chain gang at the tender age of 14. Signature role: A private investigator on the run in Out of the Past (1947). 1. The Sundowners (1960), airing at 9:15 a.m., is one of my favorite Mitchum films. He and Deborah Kerr play an Australian couple who battle over their sheep farm and their son. 2. The Yakuza (1975), airing at 12:30 a.m., is an interesting neo-noir directed by Sydney Pollack that features Mitchum as a private investigator who is searching for his friend's daughter in Japan. 3. Mitchum is an underrated Western star. TCM is showing one of his best, The Lusty Men (1952), at 2:45 p.m. This modern Western features Mitchum as a former rodeo star involved in love triangle with Susan Hayward and Arthur Kennedy. A great film not featured on Summer Under the Stars: There are about a dozen noirs I could recommend, but Out of the Past is simply one of the best films noir ever made largely because of Mitchum's iconic performance. Fan Magazine Flashback: Mitchum reads to his sons James (left) and Christopher in this 1946 photo from Modern Screen. Old Hollywood video: Mitchum had a lovely baritone voice, and he carved out a moderately successful singing career in the 1950's and 1960's. Here he is singing "Too-Ra-Loo-Ra-Loo-Ral (That's an Irish Lullaby)" with The Ames Brothers. Old Hollywood GIF: Mitchum plays the worst cellmate ever in The Night of the Hunter (1955). Courtesy of giphy.com. For more Summer Under the Stars articles, go here. There'll be plenty more on Mitchum on social media. Follow me on Tumblr, Google+ or Pinterest or like us on Facebook. Follow us on Twitter @oldhollywood21.